I don't know if you know, but I (Matt) am a big nerd. Even though I love making videos, I also enjoy playing video games. Recruit, you may exit the Skyranger now. Don't die. 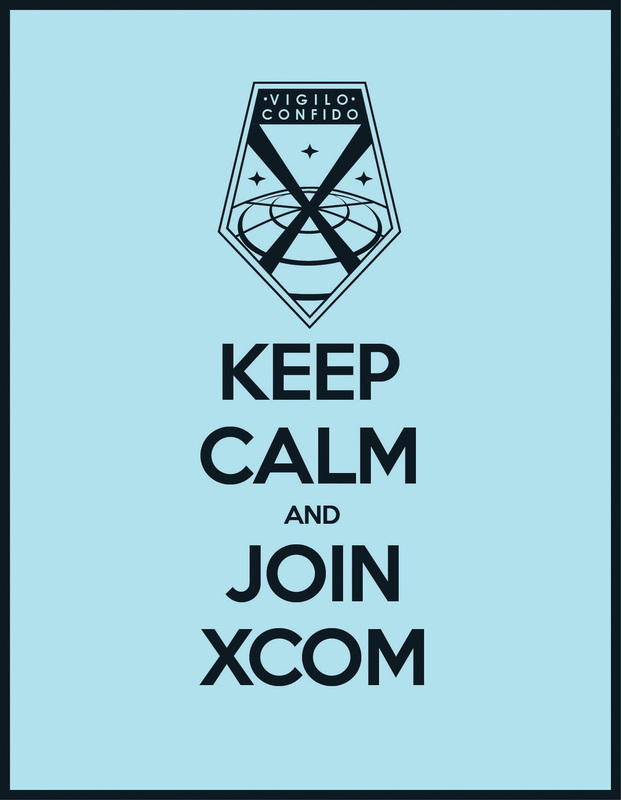 Based off the WWII British "Keep Calm" posters, I thought I would add in some basic statements you might actually read if the events in XCOM were real. I drew the logo based on logo from of the XCOM main sight, then downloaded another artist's rendition of the KEEP CALM font, which is pretty spot on I think. UPDATE: Got a request for a Skyranger one.